You’ve probably seen them around town, maybe on a billboard or flyer. They are those funny barcode-looking symbols that can be scanned by a barcode reader on a smartphone and will take you to a website or special application. 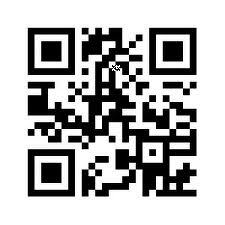 These are called QR Codes (Quick Response Codes or QRCs) and they have exploded in popularity in Asia. Now, they are hitting America and can be used in a variety of ways for marketing. At Furia Rubel, we niche in marketing and public relations for nonprofits, B2B companies, and professional service providers including lawyers. When new technologies are introduced, we discuss the relevancy of these technologies to our clients, the opportunities they present, and how we can put them to use for our clients in order to add value to their marketing and PR efforts. Some ways that law firms can use QR codes include driving traffic to their websites or promoting events such as seminars, sponsored programs or association conferences. They can also be used to announce new products (such as scholarly publications or white papers), new services (such as new practice areas), or class action law suits. With a class action, a firm can quickly provide valuable information to prospective class members – especially when dealing with consumer issues. If a business is a major sponsor of an event, adding the QR code on every piece of signage can drive attendees to a webpage specifically thanking them for participating and providing them with an opportunity to sign up for such things as eNewsletters and eAlerts targeted directly to them. In addition, QR codes can be used in trade industry and business publication advertising to drive readers to a website where they can learn more about the advertiser, their offerings and/or special promotions. Companies can use them in conjunction with launching a new website, brand or blog. One caveat however, is that the targeted webpage where users are being directed MUST be smartphone-friendly.